Here we are, heading into the last days of March, and there’s another snowstorm predicted for the Northeast. I’d say it’s time for a little bit of summer, wouldn’t you? I’ve been waiting MONTHS to tell you about this book. I read an early copy and wanted to wait for publication day to share thoughts because it’s one of those books you’ll want to swoop in and read right away. If you’re familiar with our TeachersWrite Virtual Summer Writing Camp, then you already know the author, Gae Polisner, who runs Friday Feedback on her blog and has encouraged more fledgling writers than I can count. She’s funny, kind, generous with her time, and a pretty spectacular writer, too. THE SUMMER OF LETTING GO is one of those books that will make you laugh and cry and sigh, and pretty much everything in between. It’s about summer, friendship, the idea of reincarnation, families, shame, and forgiveness, and other things, too. I have to confess – I spent all of yesterday binge-reading. It’s been such a busy couple of months with travel and deadlines, so with the kids on vacation, I’d been saving it from post-NCTE to read over their break. I just loved it so much – the characters and their beautiful flaws, the beach and the crabs and the tears and of course, Frankie. Well…both Frankies. It’s an incredible book, and I’m so excited for everyone else to find it, too. It’s funny – people ask me all the time if I miss teaching, and usually, I’m okay…I love what I do now and get to do so many writing workshops with kids when I travel. But your book made me wish for a minute that I still had a 7th grade classroom so I could book-talk it and put it in kids’ hands. I do miss that moment of giving a kid a book that I know she will love. If you are a teacher, or a reader, you know the kind of book I’m talking about. This is one of those books. It’ll be the best fit for your high school & older middle school readers who love YA novels by Sarah Dessen and Jo Knowles. I support independent bookstores because they support our readers and communities. 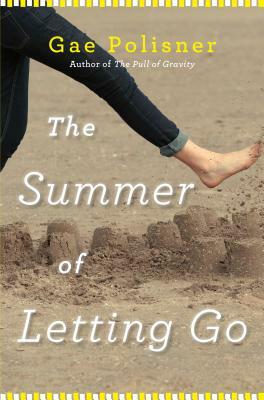 If THE SUMMER OF LETTING GO is on your must-read list, please consider asking for it at your local indie.